Choose the emerging industry leader in the rapid analysis of global infectious disease with the powerful and effective tools employed by the experts at Dyne Immune. We press forward against the cutting edge of technology to provide you with better, faster, and more complete data options for treating pathogens all over the world. 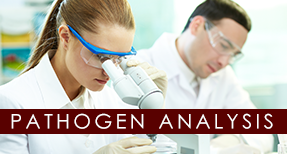 Experience the future of technologically powered pathogen analysis by calling Dyne Immune in Hudson Valley of New York. Once you employ our advanced technologies for the implementation of rapid-screening assays, you’ll experience the kind of definitive analysis of all types and species of pathogens, from the Zika Virus, MCR1 to any other super bug Wecan truly make a difference in your research and your patients’ lives. Whether viral, bacterial, parasitic, or protozoal in origin, our processes allow you to make your diagnoses quickly and accurately anywhere in the world. In the seven short years we’ve been in business, we’ve climbed to the top of the field by utilizing next-generation thinking to solve today’s most pressing laboratory challenges. Experience the future of technologically powered pathogen analysis and bioterrorism by calling Dyne Immune in Wurtsboro, NY, at (877) 707-1120.